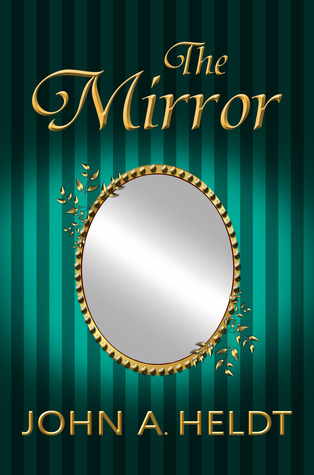 The Mirror is the fifth book in the Northwest Passage series and sequel to The Mine and The Show. Precis below. There is one comment I feel I must make in relation to a few of the reviews and that is in relation to intimacy between the girls and their boyfriends. Some reviews read as though there are descriptive passages. This is not the case. We know the girls sleep with the boys, that is all. There is suggestion by some reviewers that in the sixties teens were not sexually active. This is also untrue. John Heldt has told it as it was, and he has done it tastefully and honestly. On September 11, 2020, Ginny and Katie Smith celebrate their nineteenth birthday at a country fair near Seattle. Ignoring the warnings of a fortune-teller, they enter a house of mirrors and exit in May 1964. Armed with the knowledge they need to return to their time, they try to make the most of what they believe will be a four-month vacation. But their sixties adventure becomes complicated when they meet a revered great-grandmother and fall in love with local boys. In The Mirror the sisters find happiness and heartbreak as they confront unexpected challenges and gut-wrenching choices in the age of civil rights, the Beatles, and Vietnam. This was wonderful holiday reading. 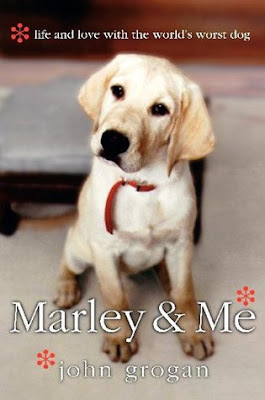 It tells the story Marley, a Labrador, who is constantly getting himself into trouble through his disobedience and destructive ways. It is brilliantly written by an author with a great sense of humour. Grogan sees the funny side of life including his dog’s antics, people who are derisive about his attempts to train Marley, life in general and even the disappointing attempts for his wife to fall pregnant. If you love dogs, you’ll love this book. More importantly if you have dogs, ridden out the waves of their mischief, and still love them, you’ll love this book even more. You’ll laugh, and you’ll shed a few tears, you will fall in love not with just the story but Marley himself. It is a tender, yet amusing tribute to man’s best friend.